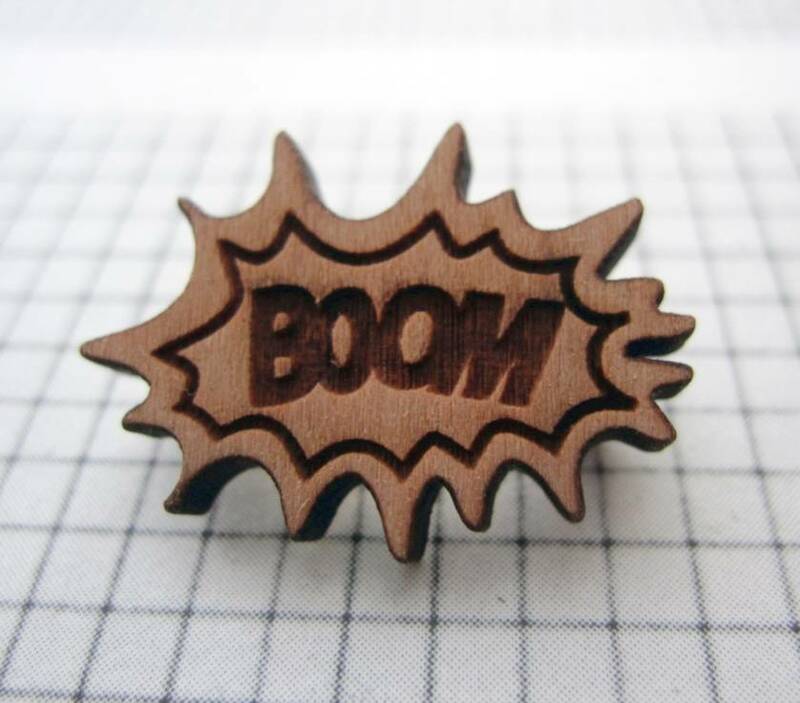 This fun brooch has been made with a laser cut and etched wooden piece. 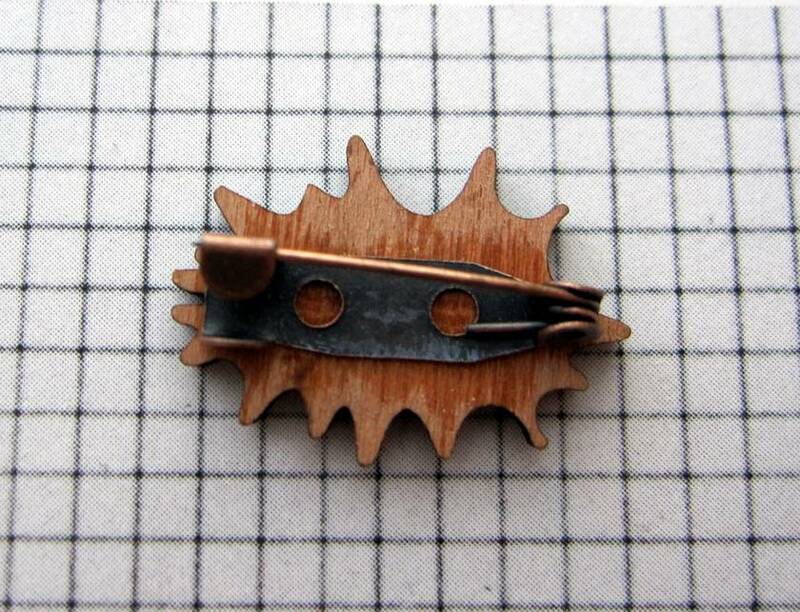 It is a small brooch measuring about 12x15mm. A pin is attached securely to the back - please note iit is a silver plated pin the same size as the brass pin pictured.